Pond Across the Pond: Happy Book Birthday to Me! It's here! Isn't the cover awesome? 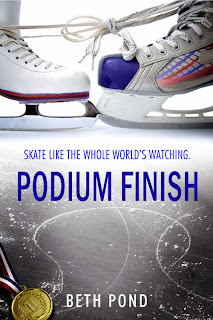 Podium Finish is finally here, available for purchase at Barnes and Noble and Amazon Kindle. It will be listed on goodreads soon, so please don't forget to mark it as "to read" once it's up and also to post a review on goodreads and amazon.com if you can. There will be a print run, but not for a little while, so if you don't have a kindle e-reader, you can download the Kindle for PC or Kindle for iPhone apps and start reading from there! Happy release day, Beth!!! 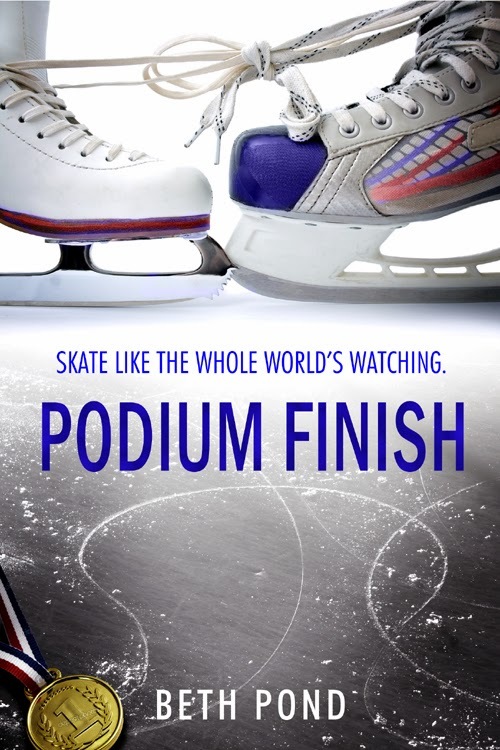 That cover is pretty cool! Congratulations! Im new to your blog! Cant wait to read! Going to buy on amazon! thank you!